« If you Budget for it, you won’t feel the pinch! What is a Debt Consolidation Service and when to use them? In the last three years, dating back to the start of the global recession and the worsening economic conditions, we have been hearing a lot about bankruptcies. Both business and personal. Ignoring the ‘business’ side of things, when it comes to ‘personal’ cases of bankruptcies or being on the verge of sinking into one, a lot of people did find help, by using one of the many ‘debt consolidation services’ that have been popping all over the place. What is a ‘debt consolidation service’ and when should you need one? better yet, is the service risk-free, and does it involve any ‘side effects’ so to speak? What is ‘Debt Consolation Service’? A Debt Consolation Service (DCS) is a method by which a mediator comes between you and your bank to ensure that you pay some of your debt, at a reduced interest rate, so as to avoid bankruptcy. It is a process where your multiple high interest and unsecured debts are consolidated into a single manageable monthly payment, usually at a lower interest rate than what you were paying the banks. The logic behind such an arrangement is that it is better if you (the consumer) pays some of the money owed to the bank than to declare bankruptcy where neither you nor the bank will gain. When you declare a bankruptcy, your credit will be ruined and will take years to come back to normal and the bank will also lose on its own money that it lent to you. So the DCS is sort of a middle man between you and the bank. Not to mention, it is a legal solution. But just because it is legal and viable doesn’t mean you should just run to use it. First, you have to know when you need to use it and what are some of its risks and side effects? When should you need to use a DCS? 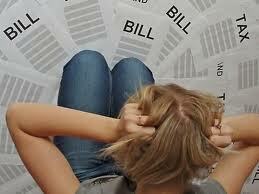 There are many signs that can help you in knowing when it is time to use a debt consolidation service. If you have lost your job yet still have to pay off multiple credit cards-and assuming your job search is not successful for a few months now-it may be time to talk to a conslidation service. If you are also noticing that you are missing your payments more often than usual, then that could be a sign that you are falling behind and need help. Getting lots of daily collection calls? that is another strong sign that things are getting out of control and in need of help. Finally, one other strong indication that you are in need of consloldating your many credit card debts into one is when when you start using your credit card to pay other credit cards or bills. If you start noticing some of these symptoms or similar to those, it may be time to consider DCS. When are some of the risks and side-effects? While DCS can be a great life-line, it wouldn’t come without some risks and side-effects. Where else in life could you get such sweet deals without having to pay for it some other way? First and foremost, your credit rating may be effected for the negative. As part of your repayment arrangement, you will also have to give up your credit cards and possibly other bank accounts. Also, the service is only good for unsecured debts , those not secured by an underlying asset or collateral. In other words, you couldn’t use DCS to make your mortgage payments when you are not able to.